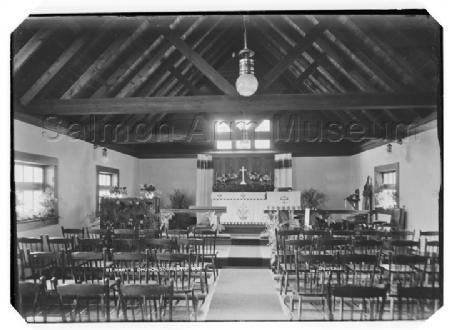 An interior view of the Anglican Church, facing the altar. The name of the minister is unknown; can you help us identify him? 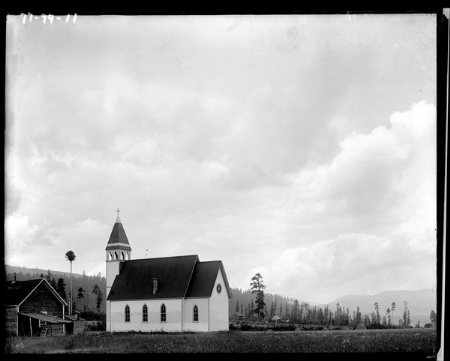 The Roman Catholic Church of the Sacred Heart was located on Spallumcheen Band land south of Enderby, B.C. It opened in 1898 and burned in 1914. 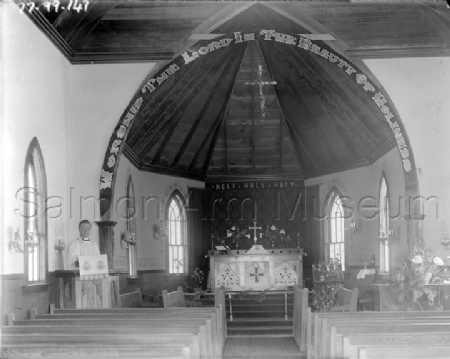 St. Mary's Anglican Church interior at Sorrento.